The Eastern Wyoming College Foundation has announced the winners for the Foundation’s annual awards for recognition. The Distinguished Alum is Dr. Alex “Dale” Ehrlichand the Distinguished Service award winner is Chuck Rogers. Dale is a native of Huntley, Wyoming, graduating from Huntley High School in 1965. He attended Goshen County Community College and earned an Associate of Arts Degree in Biology in 1967. He enlisted in the US Air Force in that same year, working as a Morse Code interceptor operator. After his discharge from the service, he returned to the University of Wyoming to obtain a Bachelors of Science in Biology with honors, and a Master’s of Science in Microbiology. Moving back to the uniformed service, Dale was commissioned in 1975 as a Navy Ensign, and went on to the Indiana University School of Dentistry, where he received a Doctorate of Dental Surgery in 1979. Dale’s military career has taken him around the world. In 1985 he was selected for training in the Comprehensive Dentistry Residency Program at the Naval Postgraduate Dental School, which was followed by his assignment to the Marine Corp in Okinawa Japan. Following a tour of duty in Pensacola, he was selected for training in the Craniofacial Pain Fellowship at the University of Florida, after which he was assigned to the Naval Postgraduate Dental School to establish the Orofacial Pain Specialty for the Navy Dental Corp, and at the same time served as the first Specialty Leader for Temporomandibular Disorders and Orofacial pain. At the rank of Captain (full colonel equivalent), in 2003 Dale served as department head and technical director of the Naval Institute for Dental and Biomedical Research when he was appointed by the Surgeon General as Specialty Leader for Dental Research in 2006. He then became the Institute’s Commander, a position he held until 2009 and his retirement from the Navy in that year. His awards and honors include the Legion of Merit with three oak leaf clusters, the Meritorious Service Medal with three oak leaf clusters, the Navy/Marine Corps Achievement Medal, three Battle “E” Awards, the Global War on Terrorism Expeditionary medal and many more. He maintains membership in the American Academy of Orofacial Pain, the American Dental Association and the Academy of General Dentistry. He is a fellow of the Academy of General Dentistry, Diplomate – American Board of Orofacial Pain and a Diplomate – Federal Services Board of General Dentistry. He is also an Adjunct Assistant Professor at the Uniformed Services University of the Health Sciences. He continues to serve and contribute to the field of dental research in his current position as Associate professor and Chairman of the Comprehensive Dentistry and Biomaterials Department at Louisiana State University School of Dentistry in New Orleans, Louisiana. Eastern Wyoming College and The Eastern Wyoming College Foundation are proud to present the 2012 award for Distinguished Service to Chuck Rogers. Participants in this course will learn how to create engaging, easy-to-maintain classroom center activities that boost independent learning while increasing small-group instruction time. They’ll not only gain the knowledge they need to get the most out of centers; they’ll also receive a wealth of resources and center ideas they can take and try in their own classrooms. This course is part of Eastern Wyoming College’s growing catalog of more than 300 instructor-facilitated online courses. Through well-crafted lessons, expert online instruction, and interaction with fellow students, participants in these courses gain valuable knowledge at their convenience. They have the flexibility to study at their own pace combined with enough structure and support to complete the course. And they can access the classroom 24/7 from anywhere with an Internet connection. 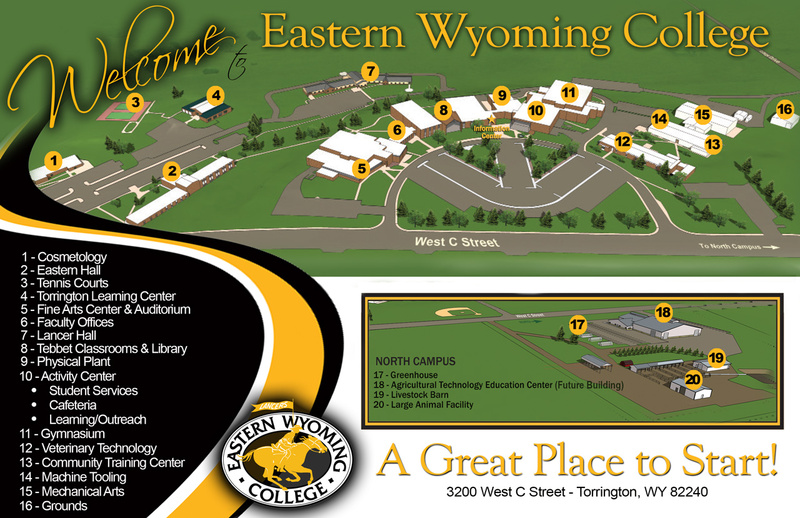 To learn more, call Donna White at 307.532.8323 or email her at donna.white@ewc.wy.edu.